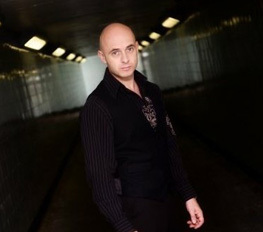 Andy started his career almost 20 years ago working as a professional entertainer for Warners and Thomson Holidays. He then became one of the most recognized faces on two of the UK’s cult shopping channels – Bid TV and Price Drop TV – where he spent many years selling and conducting live demos of products on live television. He has since presented on QVC and Ideal World. With over 12 years of selling products on live TV, he has vast experience of what it takes to pitch and sell everything from jewellery to DIY products. 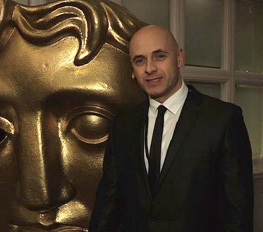 Andy has years of experience of red carpet reporting for exciting movie premieres and celebrity press junket interviews, having covered events such as the BAFTA TV Awards and the BFI London Film Festival. He has interviewed the likes of Sir Ben Kingsley, Sir David Attenborough and Tom Cruise as well as countless TV personalities. 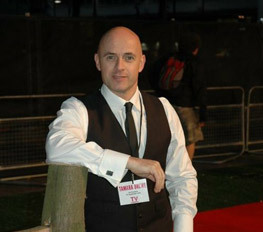 He also appeared as a guest presenter on ‘Film Extra’ on SKY. 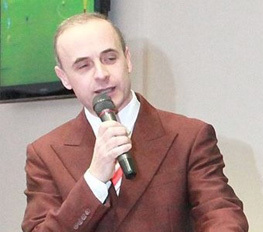 As an accomplished speaker and presenter he has also hosted many award ceremonies as well as corporate and live Sporting Events across the UK. Andy has also worked in the Premier League for Sunderland FC where he hosted and interviewed players in the players lounge. Andy is not only very comfortable in front of the camera, he is also a professional actor, having appeared in various musicals, concerts, shows and pantomimes. With 1000’s of hours of live TV presenting experience as one of the best on-screen sales presenters, Andy is excited to help you bring your business to life through the lens.